You know how Bruce Banner transforms into the Hulk when he becomes angry, well I somehow seem to transform into Laney Boggs from ‘She’s All That’ (remember her- super nerdy and awkward) when it comes to the first date. I definitely don’t consider myself an awkward person, but there is something about a first date that makes me forget that I know how to put complete sentences together, that I know how to communicate without talking nerd, and that I know how to be myself. I don’t know if its nerves, or just me being awkward. Either way, dating is not my thing. And while I simply cannot stand the awkwardness of the first date and the initial getting to know one another- I think there is beauty in it. There is a sweet spot in new relationships that we all wish we could stay in. You know what I am talking about, right? That time when you’re both on your best behavior; when the dates are no longer awkward but are actually extremely fun; when you still haven’t had a disagreement, and when it seems that the romantic possibilities are endless. That stage in the relationship looks so desirable (especially in the romcom movies and my favorite tv drama’s), but eventually things change. All of the sudden the deep, intimate conversations start happening and you’re a little too close to where you can no longer hide behind your best foot forward any longer. You step out of that sparkly phase and into reality. The reality that not every hair will always be perfectly in place, or that you enjoy sitting around in sweatpants drinking wine out of a mug (that may just be me). Or how about that you have times when you cannot explain why you are emotional, you just are. The reality that you aren’t actually perfect. Its that time when you actually see the other person for who they are (flaws and all). Scary, huh? It’s one thing if you are rejected because you didn’t try hard enough on the first date or because you wore some crazy outfit on your first date. But if you’re rejected after this point, it tends to hurt much worse. Because you feel rejected for things out of your control, things that are part of who you are. And if you are willing to work past the fear of rejection- something beautiful does sit on the other side (like most things that are utterly terrifying). Think about that moment when that person looks back you, just inches away, when you don’t have every hair in place or are not in a perky mood. They see you for who you are, and they can begin to love you for who you are. Not for who you are pretending to be, but for you. Messy hair and all. One of the hardest lessons I’ve learned is that to find that place (that kind of soul warming connection), I had to be willing to be vulnerable. I know that’s a scary word! I did nor have a good relationship with that word. I had allowed vulnerability to hold me back from so many great things over the years. Being vulnerable is hard, it’s messy, and its most definitely scary. “Vulnerability is that moment when you’re left wide open to the possibility of the sting, hands limp, defenses down. And that is a scary place to be”. Whether it’s what filter to use on Instagram or how to angle the camera perfectly- we strive for perfection. We live in a world where we are constantly trying to hide our flaws; hiding them beneath perfect lighting and the most artsy selfie. Unfortunately, we will find no satisfaction in that quest for perfection. And there is no courage in that quest; no positive outcome. We cannot be fully loved if we are not fully known, which leaves us with a very difficult decision. We can either hide and protect ourselves, or we can go with something a bit more daring. I had always chosen the first, even though it ensured that I wouldn’t be loved, it also ensured that I wouldn’t be hurt. But living that way is lonely. Instead, you can choose (like I have since I learned this hard lesson) to live another way. You can choose to live in the moment, to allow those vulnerable moments to not cause us to run for the hills. We can choose to have to have the courage to be imperfect and to be authentic. To let go of who we think we should be and allow people to really see who we are (even in those places we prefer to keep hidden). It’s only then that we can really be known, and only then that we can be loved in the way that our soul so deeply desires. Vulnerability is being able to choose hope. To choose the daring hope that someone will see you for who you are, know you for everything you are, and choose to love you because of what they see. Not for the performance or act you play, not for your perfectly curled hair or for your excellent choice of wardrobe, but for you. Words From A Single Woman. When I was a little girl I loved to dream, especially when it came to love and the man who would one day capture my heart. As I continued to grow up I continued to fall more and more in love with the idea of love. I would sit on the swing in the back yard on those warm New York evenings, listening to music, staring up at the beautiful sky, and dreaming of my future. I would dream of a man who would see me, love me, protect me, and fully accept me (flaws and all). I think this was every young girls story. Unfortunately, somewhere between real life and heartbreak, many of us got a bit jaded. And after years of waiting for Mr. Right, it’s easy to give up. Whether it was a heart shattering breakup or years of (what seems like) wasted time with Mr. Wrongs; it felt easier to give up on the idea of love than to risk what could come from it. It feels so easy to have a sense of hopelessness when it comes to our own personal love story and to assume that love is only a fairytale (something we read about or see in movies). We forget where love originated and what real, true love looks like. And without noticing it we can quickly become impatient while waiting on God to write our love story that we decide to settle. Despite what our childhood dreams taught us, we learn that love doesn’t always look like a fairytale. We learn that real-life love will probably never look like a Christmas Hallmark movie (like the one I just finished watching). But that doesn’t mean it won’t be beautiful, epic, and so worth the wait. Our desire for that type of love and companionship was placed in our heart when our Creator created us. If we can fully understand that Christ is pursuing us and that He loves us unconditionally, I don’t think we would continue searching for a man to validate us; we would know that our identity is in Christ. We won’t have to waste our time dating men who know nothing about pursuing the heart of a woman. We won’t allow a mans acceptance or lack thereof to define us. 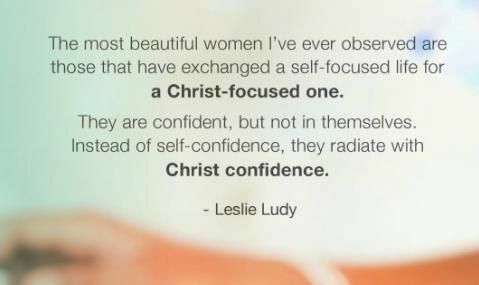 Our identity is in Christ and we don’t need just any man who looks good or is fun to hang out with, but a godly man who knows how to pursue our heart in a unique way. A godly woman desires the type of man who sees her for who she is and embraces every part of her, both the beautiful and the ugly; a man who has gone through the hard work of pursuing God’s heart first in search of hers; a man who understands partnership and is brave enough to partner with her. A man who can lead from a place of strength and purity. Women- that is the type of man you should be looking for. And it is just as important that a godly woman be the type of woman that a man desires to pursue. One who is simply confident in what she knows she needs, she is realistic in her expectations; she respects her body and her worth, and she is filled with grace, humility, and strength. She fears the Lord, and has a spirit of love flowing through her. I have known many ladies over the years who are borderline desperate when it comes to the dating scene. They are so consumed with finding a man that it becomes their life quest.They begin to place their identity in their relationship status instead of being a woman worth pursuing. By stepping back and allowing a man to be the pursuer, you are showing your faith in God by giving up control of something you want to hold onto so tightly. It’s just like being blindfolded- you are trusting God and you have no idea what the outcome will be. You don’t know if your heart will end up broken or blessed. (scary, i know!) BUT, the right kind of woman will be able to take the risk and entrust her heart fully to God. There is nothing more beautiful than a woman who is brave, strong, and emboldened because of who Christ is in her. Not in her own strength and bravery, but in Gods. Hold out for the one who pursues you, he will be worth it! The Christmas season is upon us again, which often means our joys and sorrows seem increasingly magnified. If our lives are overflowing with joy and love, well, the string of lights and beautifully decorated Christmas tree seems to energize that happiness. But if we’re treading a path of suffering or unmet longings, it seems that our pain is only increased by the continual reminder of what could have, or should have been. Personally, each year I feel like I have such mixed emotions when it comes to this season. Being a single woman, Christmas time is both exceptionally sweet and a reminder of what is not. I will not be cuddling up on the couch with a husband with a delicious cup of hot cocoa and White Christmas playing, nor will I be buying my own children matching onesies. However, I will be baking delicious cookies with roommates and have the sweet smell of cinnamon filling the house. I’ll be torn between enjoying my parents and family in New York on Christmas day while simultaneously missing my community in Virginia, the friends who makeup my daily life. Like I said, mixed emotions. Regardless of how we’re walking through this Christmas season, every point at which life does not measure up will somehow be exposed (or at least that’s how it will feel). As we venture into this Christmas season we will be deeply disappointed if we compare ourselves to those whose lives are living up to the Christmas ideal. I feel as though setting my hopes on a perfect Hallmark-type Christmas will only leave me feeling alone and unsatisfied. If my focus is solely on the movies and malls and ugly sweater events, I will miss out on intimacy with my Savior (the only one truly is able to fully understand the deepest places of my heart). So, I have told myself that this year I will focus on God working in my life in ways that only He can, instead of focusing on the ‘could haves’ or ‘should haves’ that arise this Christmas season. As unmet longings and desires seem to be awakened this season, we should remember to spend quiet time in God’s Word. In order to be reminded of the ways that He meets our longings and our desires each and every day. I know for myself, I want to look beyond my own wants while delighting in and helping others throughout this season (and even moving into the 2017 year). While I intend to hold my nieces and nephew on the couch and watch Hallmark movies with my mom, decorate Christmas cookies, sing with Michael Buble in the kitchen, splurge on peppermint mochas, dine with friends, and perhaps even let myself dream of the unlikely (if not impossible) Hallmark type love story through a movie or two, my hope will not be in these things. My hope will rest in my Lord and Savior. And however cliche this may sound, I will remember that Jesus is the reason for the season. The Christmas ideal (or fantasy) will not be mistaken for my Savior and the reason we celebrate this holiday.